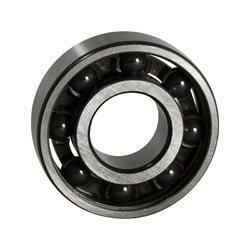 Prominent & Leading Manufacturer from Chennai, we offer bearing c5, bearing c4, bearing c3 and bearing c2. 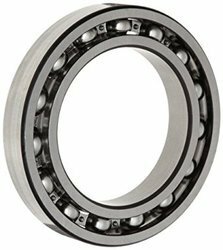 The bearing internal clearance referred to as Normal has been selected so that a suitable operational clearance will be obtained when bearings are mounted with the fits usually recommended and operating conditions are normal. Where operating and mounting conditions differ from the normal, e.g. where interference fits are used for both bearing rings, unusual temperatures prevail etc., bearings with greater or smaller internal clearance than Normal are required. In such cases, SKF recommends checking residual clearance in the bearing after it has been mounted. 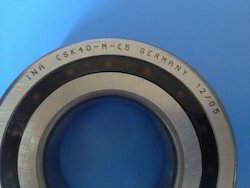 Bearings having an internal clearance other than Normal are identified by the suffixes C1 to C5. 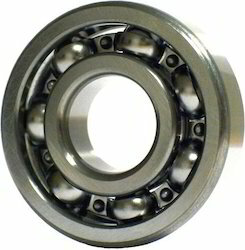 Internal clearance is the play within a ball bearing. It is the geometrical clearance between the inner ring, outer ring and ball. It is a critical factor in bearing selection that will directly impact bearing life. It is often overlooked, particularly as to how it is reduced by interference fits. Too little or too much internal clearance will significantly influence factors such as heat, vibration, noise, and fatigue life. Looking for Bearing Clearance ?